Today, developer Telltale Games announced that Batman: The Enemy Within will release for the Nintendo Switch next month, October 2. At the moment, it appears the release will be limited to the eShop, or in other words, won't be available at retail. Telltale Games hasn't divulged whether or not this will ever change. For those that don't know: Batman: The Enemy Within -- like all Telltale Games -- is an episodic point-and-click adventure game where you make your own decisions that impact the fate of characters and their stories. 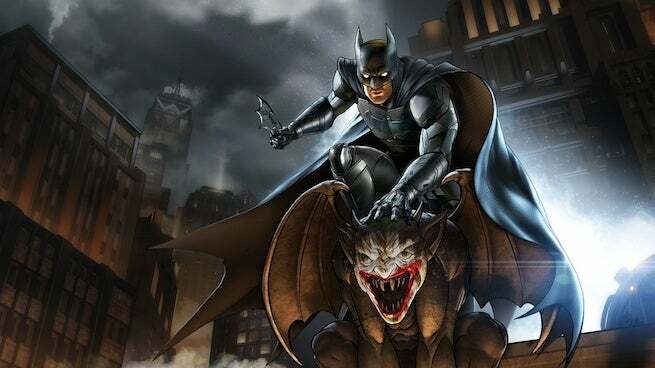 The game is notably a sequel to 2016's Batman: The Telltale Series, and is currently available for PlayStation 4, Xbox One, PC, Mac, and mobile devices. It's first episode debuted back in August 2017, while the fifth and final episode arrived earlier this year in March. Personally, if you consider yourself a Batman fan and don't mind the style of Telltale Games, then this, and its predecessor, are practically must-plays. I'm far from a huge Batman fan, and even I enjoyed it quite a bit, though I tend to like most Telltale titles, so perhaps take my opinion with a grain of salt.